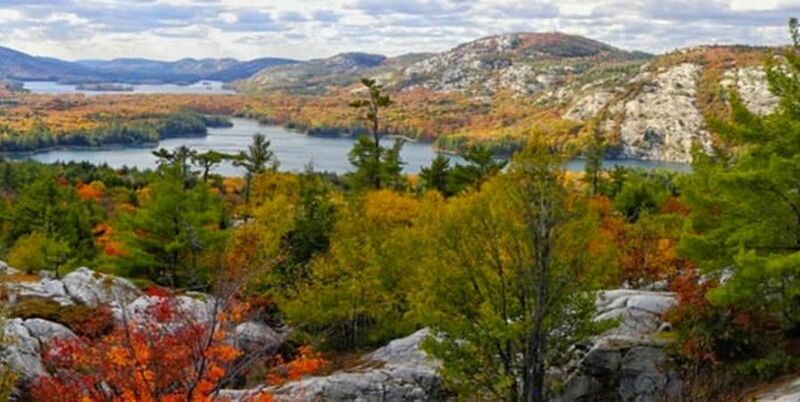 This iconic 645 square kilometre wilderness landscape showcases the wild Georgian Bay Coast of pink granite; the La Cloche Mountains’ white quartzite ridges and over 50 exceptionally clear, sapphire lakes set among Jack Pine hills. The area has long captivated artists including The Group of Seven’s A.Y. Jackson, Franklin Carmichael and A.J. Casson, so much so, that they persuaded the Ontario government to make it a park. Extensive backcountry canoeing and sea kayaking experiences.